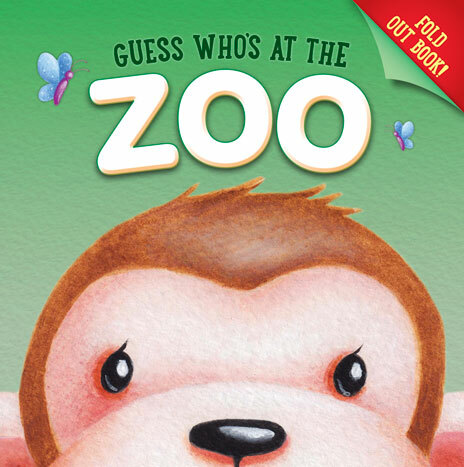 Children will love guessing who, as they unfold each page (two folds per spread), revealing two clues, before finally identifying the mystery animal! Each spread unfolds to double the size, unveiling a cute and bright animal. Guess who’s there? “I love playing fetch. Woof! Woof!” Mum and Dad will love this charming book, filled with bright illustrations and fun text. 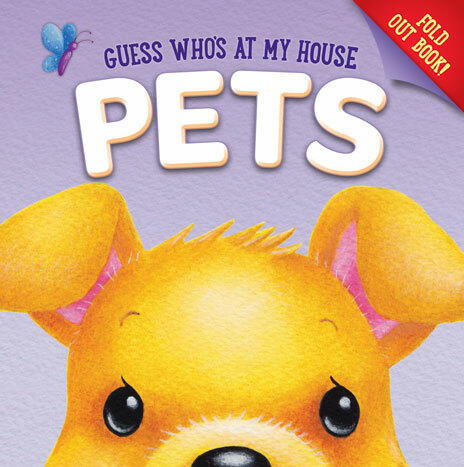 Little ones will love unfolding each page to reveal the pet that’s hiding under the colourful flap. Perfect for nap time, play time or bed time fun. Guess who’s there? They gallop, roar, and swing from trees. Which zoo animal could it be? Mum and Dad will love this charming book, filled with bright illustrations and fun text. 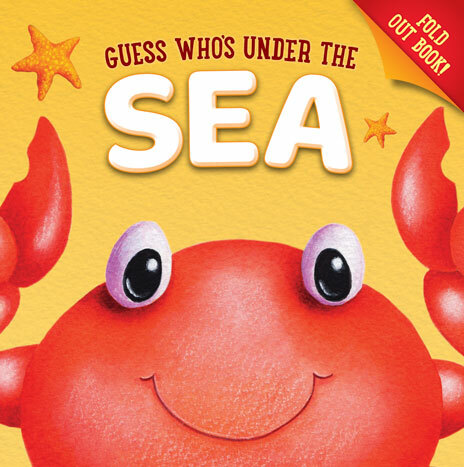 Little ones will love unfolding each page to reveal the pet that’s hiding under the colourful flap. Perfect for nap time, play time or bed time fun. Guess who’s there? “I love playing in the mud. Oink! Oink! 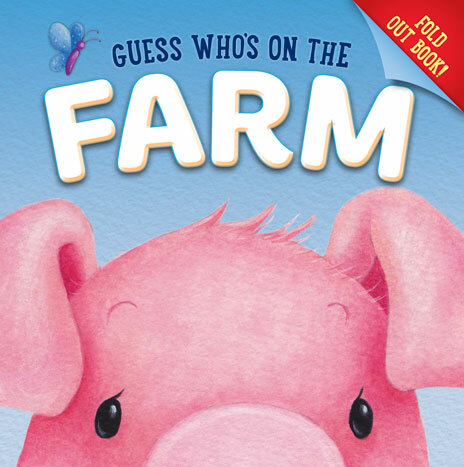 I am a pig!” Mum and Dad will love this charming book, filled with bright illustrations and fun text. Little ones will love unfolding each page to reveal the pet that’s hiding under the colourful flap. Perfect for nap time, play time or bed time fun. Guess who’s there? Can little ones figure out who has scales, a shell, two big claws, and more? Mum and Dad will love this charming book, filled with bright illustrations and fun text. Little ones will love unfolding each page to reveal the pet that’s hiding under the colourful flap. Perfect for nap time, play time or bed time fun.